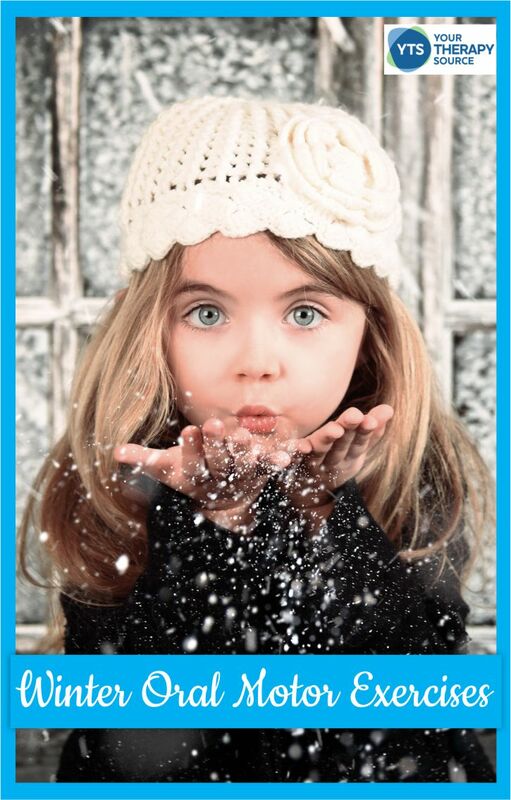 Winter oral motor activities can be fun indoor play during these cold months to work on strengthening the muscles in and around the mouth such as your cheeks, jaw, tongue, and lips. By practicing and strengthening oral motor skills, it may help children to improve their feeding skills, arousal level and more. 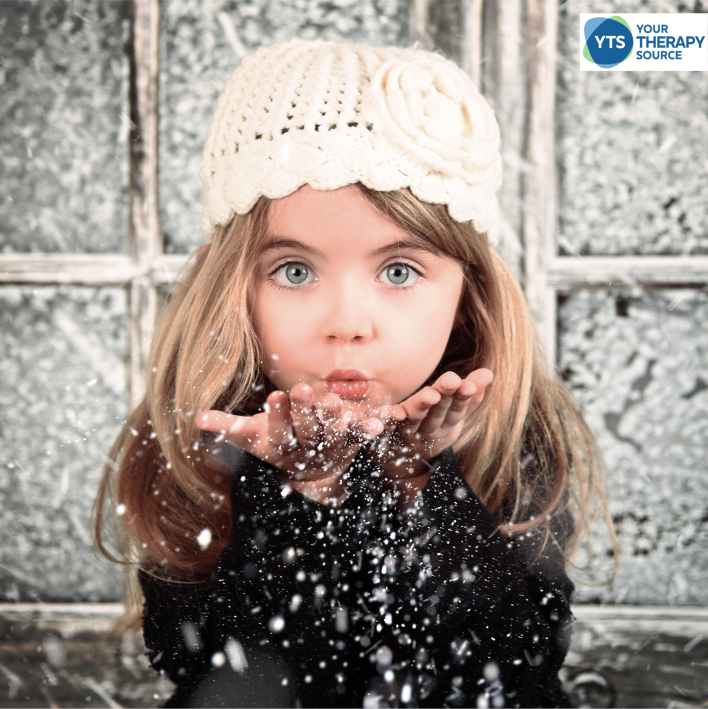 Here are a few Winter themed oral motor activities that children may enjoy to help with feeding and sensory input. Download this FREE template to create your own Frozen artwork using oral motor skills, watercolor paints, a straw, and the template. Download the snowman printables for this fine motor and oral motor craft activity. Watch the snowstorm in action in the video action below. Try some ice penguin races on a cookie sheet. No penguin ice cube trays? Just use regular ice! Grab some cotton balls, straws and two buckets. Start playing! I love to create games out of recycled items for kids. This one is adorable. Use a straw to encourage oral motor skills or grab some tongs and add in fine motor skills. Water, ice, tub, and a straw is all you need for this fun game! When the kids get tired of the oral motor exercises, use it for an open ended sensory bin. Need more oral motor exercise ideas? 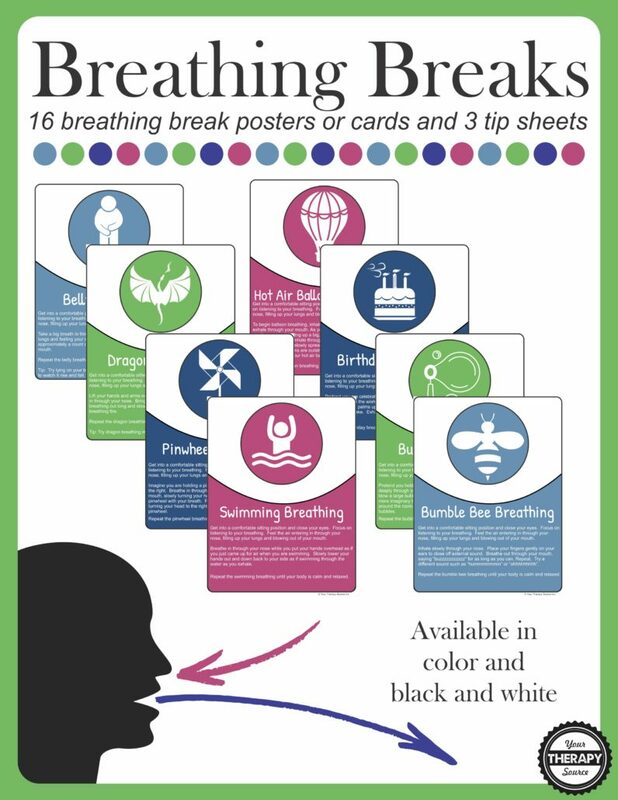 All students can benefits from breathing breaks to provide oral input, mindfulness and a calm body. Brain Breaks for the Classroom School Readiness – Are Children Physically Ready?